The MAY3 is made of stainless steel with heavy rubber ribbed grips and is used in fish processing plants and where there is salt water. In addition it has a heavy duty stainless steel spring and heavy rubber ribbed handle grips. It is ideal for skinning catfish. Use with Swivel Hanger, Stock# 1900 to dress fish. 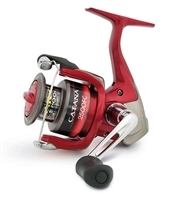 The Shimano Catana FC Spinning Reels feature a striking red color. These reels are part of the P3 reel range. The bodies of these reels are made with XT-7 material. The Shimano Catana FC reels also produce smooth performance and offers exceptional value for the money. Quantum Pulse Baitcast Reels feature a lightweight graphite construction, continuous anti-reverse, magnetic cast control, disc drag system, and much more. 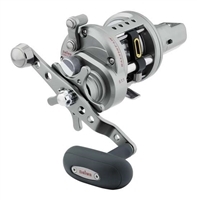 Abu Garcia Pro Max Spinning Reels are low profile reels that provide even line lay and the smoothest operation. 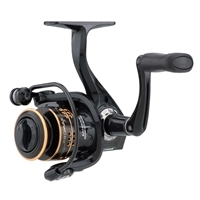 Built with a lightweight graphite frame and seven bearing system, these pro spinning reels will not let you down. 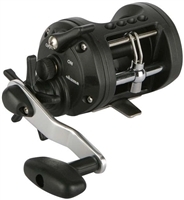 Okuma Classic CLX Levelwind Reels include Okuma's dependable multi-disc drag system, self lubricating gear system, stainless steel levelwind line guide system, bushing drive, and a corrosion resistant graphite spool. he Bubba Blade 6in Chubby Knife is made with a curved blade. Perfectly designed for caping or meat cutting. Great for in home use as well. This knife features full tang construction, made from a single piece of steel that provides strength, stability, and balances the knife. This knife also features a trigger grip, and thumb and finger pads for total control. This knife also has safety guards for protection from the blade as well as spines of fish. The handle is a no slip grip textured handle made from thermoplastic polymer and wrapped with special synthetic rubber that stays sticky when wet for total grip security. This knife is factory sharpened by hand. This knife also includes a custom black synthetic sheath. 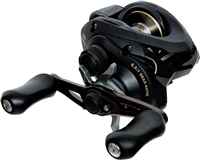 Shimano Caius Baitcasting Reels are versatile and compact. They are designed with lightweight lure casting in mind. The braking system on these reels have been upgraded and therefore cast much easier. These baitcasting reels are entry level reels. Perfect for the beginner or economy angler. Shimano Clarus Center Pin rods are awesome for your traditional Center Pin Style fishing and will double as great float rods when you get into that situation. These Center Pin rods are built out of IM-8 Graphite and also feature Grade A cork handles, Fuji Aluminum Oxide guides and Pac Bay Rings on the handle. These Rods are designed for both beginners and seasoned anglers. While these types of rods were originally designed for vertical jigging they are now used for many diffrerent jigging applications as well as bottom and drift fishing. Their short length and power also makes them ideal for kayak fishing. Components include Fuji guides and high quality graphite rod blanks. Designed and tested with Star's 50+ years of experience, we feel that these rods are the best value in their class. Reels feature four ball bearings for a super-smooth drive, and one way roller bearing for slack-free hooksets. 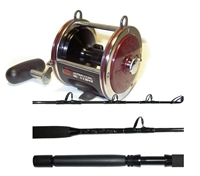 Aluminum spool, stainless steel main shaft, computer balanced rotor, and right or left hand retrieve make the reels ideal for these combos. Built to last with a solid aluminum frame, A-RB® bearings, Super Stopper® and more, Cardiff reel is a solid performer. 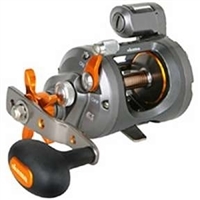 Okuma Cold Water Linecounter Reels feature corrosion resistant frame and side plates. 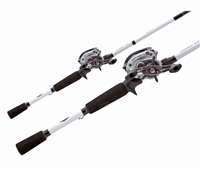 The Cold Water series from Okuma are comprised of quality external components including, an aluminum spool engage lever, ratcheting aluminum star drag, a titanium coated wide-mouth levelwind, machined aluminum spool and a stamped aluminum power handle featuring an ergonomic non-slip rubber grip. 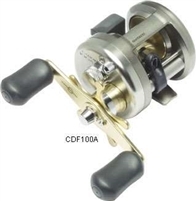 The Okuma Cold Water Linecounter Reels also feature quality internal components such as; heavy-duty machine cut brass gears, dual anti-reverse system and a full Carbonite drag system. The internal components are held solidly in place with the Okuma Mechanical Stabilization System, a one-piece hold plate that maintains long term alignment of the gears and shafts. Quantum Monster Baitcast Reels were built to take on high-powered species such as musky, steelhead, striped bass, and blue cats. Monster Reels obtained their name from a very large spool capable of launching the baits that entice these battling beasts, while providing the line capacity needed to keep up with the line torching long runs they often make. Saltwater or heavy Great Lakes applications, Saltist offers the perfect match of line capacity, durability and performance for fishing braid or mono. Plus the consistent line measurement accuracy required by today's controlled depth and jigging techniques.